The actual kitchen fitting started last Tuesday, after our fitter covered our carpet in Roll and Stroll, which I now want through my whole house. It’s oddly pleasing on bare feet. We had one day of ripping out the kitchen, a day of wiring, a day of plastering, and then Friday was dry day. 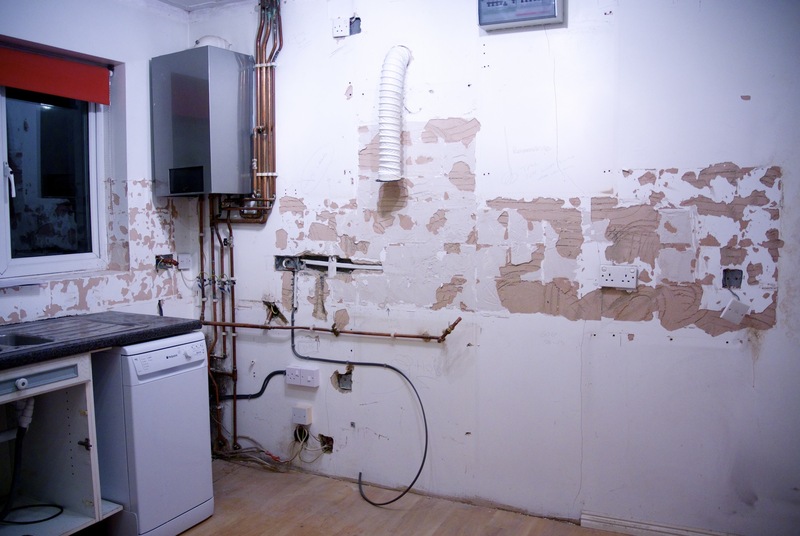 The above photo was taken Tuesday night – we were left with a sink, and our dishwasher and washing machine plumbed in. Although the washing machine gave up on us Tuesday night so we’ve had to buy a new one of those as well. Nicely timed, washing machine. Nicely timed. We’re very fortunate that Husband is able to occasionally work from home, so he was there on Tuesday and dry day, which also happened to be the start of the deliveries. 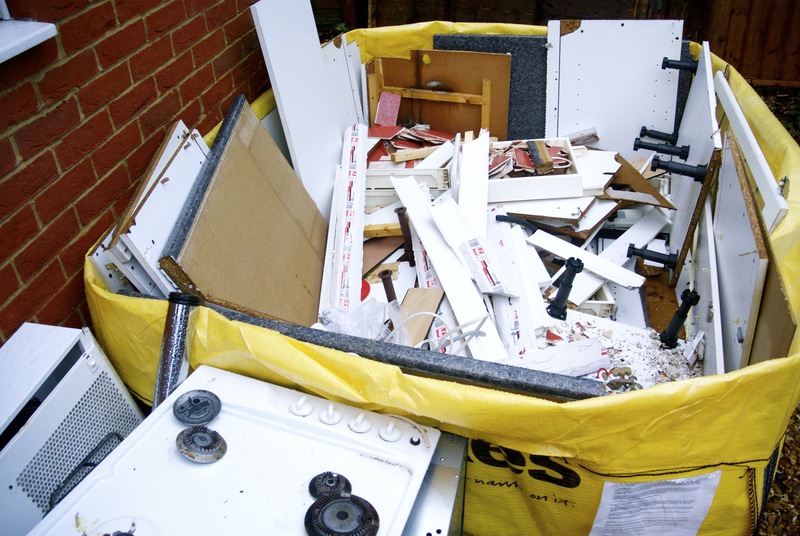 We were recommended Quick Step flooring and we managed to get a few boxes delivered by a local flooring company – we could have ordered from Wickes, but we wanted the Quick Step stuff which I don’t think they do. This is my entire kitchen! 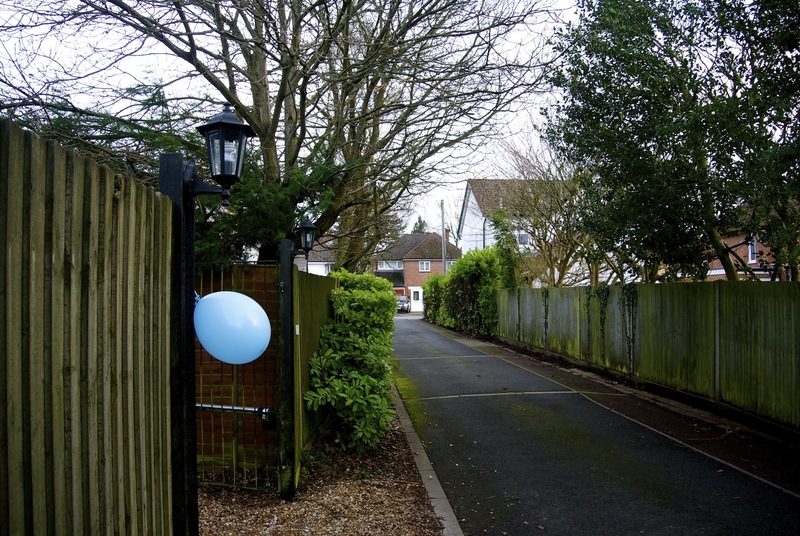 A blue balloon! Amazing idea! I will confess that I made myself scarce on Saturday because I wanted to go shopping I thought it would be easier if I was out the way, but Husband tells me that the delivery guys were brilliant. As you can see from the above photo, we don’t really have a great location for big lorries, but they didn’t complain and took it in their stride. They filled our little bungalow with box upon box upon box, then went around with a scanner making sure we had everything but we were reassured that if there were any problems, our fitter would sort it all out for us. Saturday was also paint day, which I also skilfully avoided. Husband had strict instructions from the fitter on how to paint over the plaster using a mixture of paint and water and he did a beautiful job. I’m thinking about painting one of the walls a different colour, but for now, we’ve slapped on the Brilliant White. Fitting starts tomorrow hopefully (I think it was supposed to start today but there’s been a delay at a previous job). Our fitter phoned on Sunday to explain, and we’re pretty laid back about it. He’s going to have to start soon though, as we are living in box city. I really hope he’s good at those slide puzzles because there is barely any room to move. I’m driving round with my shopping from Saturday in the back of my car as we simply cannot put anything else in our house. Does this mean you’ll be using your kitchen more now? And not just for soda streaming?